Nintendo's newly announced 3D handheld will be on the show floor at E3 this June, so we'll be able to see how well portable 3D gaming works for ourselves. Hey! You there! 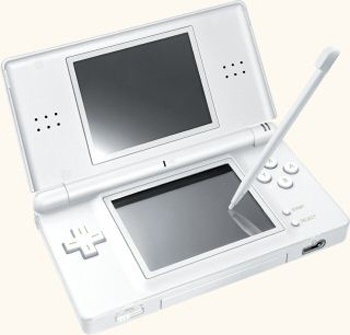 On the off chance you missed it, yesterday Nintendo announced the existence of a proper successor to its wildly popular Nintendo DS handheld. Codenamed the "3DS," this new hardware generation would let gamers play in 3D without the need for clunky glasses. The reaction from gamers and the press alike seemed to largely be: "...huh, well how 'bout that?" We'd had rumors that Nintendo was working on its next handheld for quite some time, but more surprising than the developer's jump to 3D was that this potentially-megaton new announcement just sort of... happened. There was no lead-up to it, it didn't happen at a major show like GDC or PAX - it was a quiet little press release that went out overnight. Why do it now, and not wait until all eyes were on Nintendo at E3? According to Nintendo spokesman Ken Toyoda, it was because the device would be playable at E3 - and the company wanted to give the press and consumers a heads-up to the platform's existence. "We wanted to give the gaming industry a head's up about what to expect from Nintendo at E3," Toyoda told the New York Times. "We'll invite people to play with the new device then." So there you have it, folks. Yesterday's announcement was just a heads-up from Nintendo. We'll do our best to get a hands-on with the 3DS this June, because let's be honest: Handheld 3D gaming? That could be really cool if it works. If it doesn't work, though, then it might just be another Virtual Boy.